Vanilla slices or custard slices are very popular here and on the Continent. You can make them from scratch or use ready made pastry, but either way they are good! 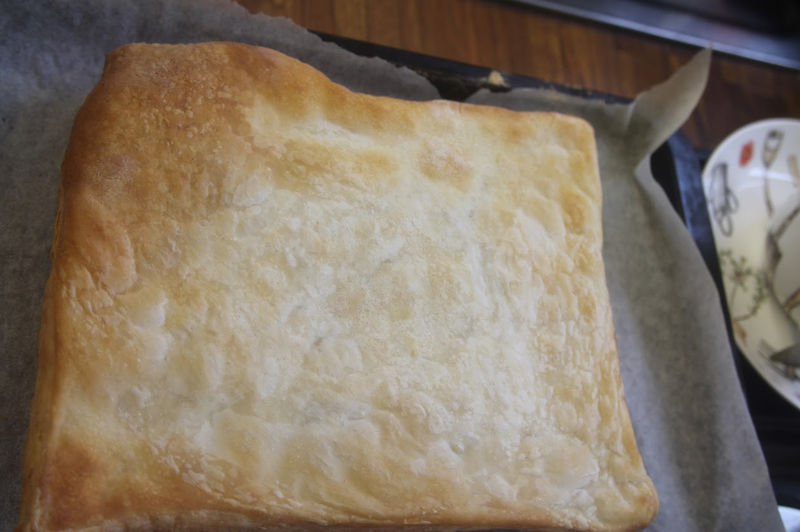 8 oz of puff pastry made with 8 oz plain flour, a pinch of salt, 7 oz chilled butter cut into 1/2 ” cubes and 2-4 tablespoons of cold water or an 8 oz packet of pastry from the supermarket! Divide the pastry into two equal pieces and roll out both pieces to about an 8 inch square about 1/4 inch thick. Place each pastry square on a lined baking sheet and bake for 10-15 minutes at 220C/425F/Gas 7 until golden brown and crisp. Allow to cool. Meanwhile, heat the milk then add the vanilla. Bring the milk to the boil and remove from the heat. Whisk the egg yolks, sugar, and cornstarch together in a large bowl and pour over a little of the hot milk to make a paste. Whisk the remaining hot milk into the egg mixture and return to the pan. Cook this over a medium heat until the mixture thickens. Do not let it boil. Sieve the mixture into a bowl and stir in the butter until it is well combined. Chill in the fridge to set. 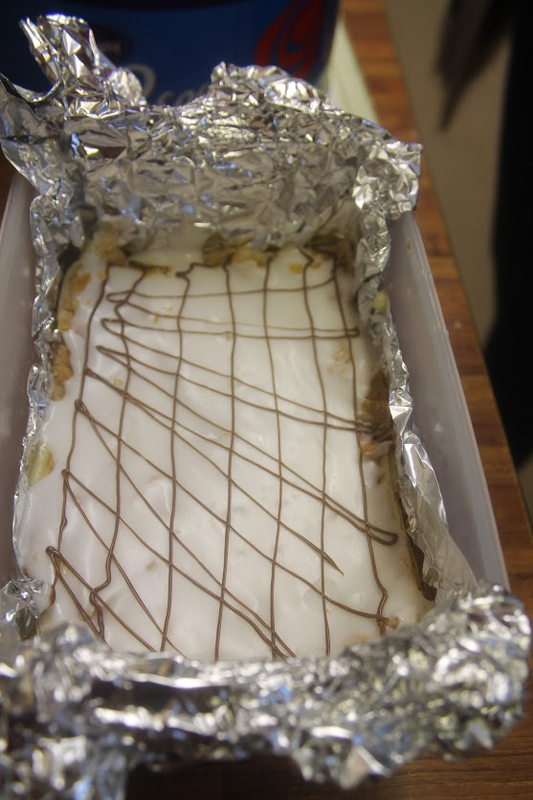 Line a deep 9-inch square baking tray with foil leaving plenty of extra foil at the sides to help with lifting the finished slices out. Trim the puff pastry into a nice square shape and place one pastry sheet in the bottom and spread the custard evenly over this. Then place the other pastry on the top. Put into the fridge whilst you make the icing. Sift the icing sugar into a bowl and add the cold water and mix well. Transfer the melted chocolate into a piping bag with a small plain nozzle and put aside to firm up slightly. 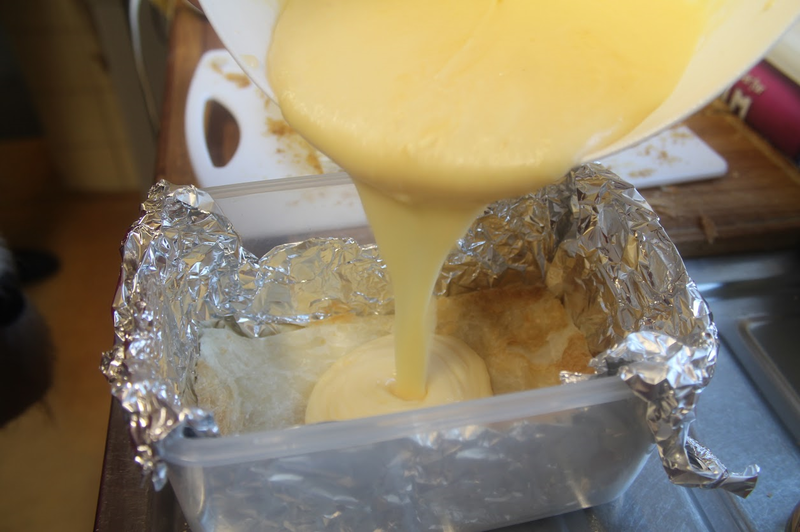 Take the custard slice from the fridge and spread the icing over the top layer of pastry. Using the chocolate in the piping bag draw parallel lines along the top of the icing in one direction and then some lines in another direction to make a pattern. Put the tray into the fridge to set. 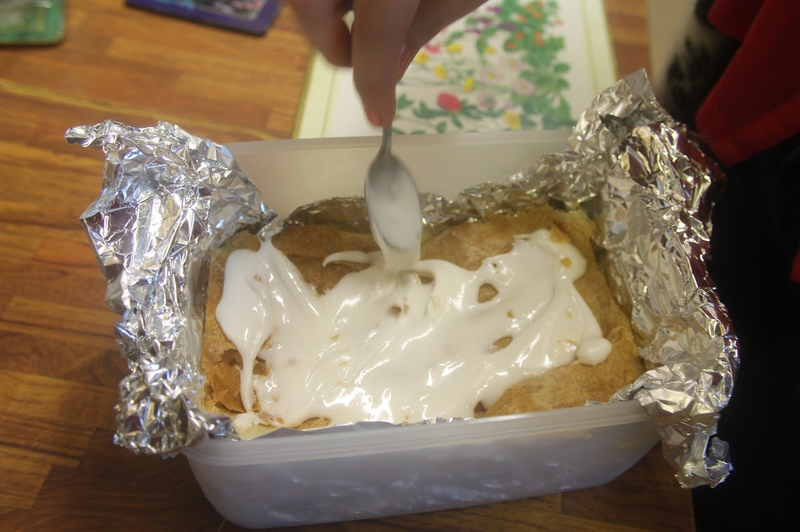 When set remove the whole thing from the tray using the tinfoil and cut into eight pieces. Serve immediately with tea, this does not keep well so eat it!